Something for the weekend. God of Our Fathers. Written in 1876 to commemorate the signing of the Declaration of Independence, it reminds each American how fortunate we are to live in this land. Done at the city of Washington, this 20th day of October, A.D. 1864, and of the Independence of the United States the eighty-ninth. In this year of liberation, which has seen so many millions freed from tyrannical rule, it is fitting that we give thanks with special fervor to our Heavenly Father for the mercies we have received individually and as a nation and for the blessings He has restored, through the victories of our arms and those of our allies, to His children in other lands. For the preservation of our way of life from the threat of destruction; for the unity of spirit which has kept our Nation strong; for our abiding faith in freedom; and for the promise of an enduring peace, we should lift up our hearts in thanksgiving. For the harvest that has sustained us and, in its fullness, brought succor to other peoples; for the bounty of our soil, which has produced the sinews of war for the protection of our liberties; and for a multitude of private blessings, known only in our hearts, we should give united thanks to God. To the end that we may bear more earnest witness to our gratitude to Almighty God, I suggest a nationwide reading of the Holy Scriptures during the period from Thanksgiving Day to Christmas. Let every man of every creed go to his own version of the Scriptures for a renewed and strengthening contact with those eternal truths and majestic principles which have inspired such measure of true greatness as this nation has achieved. Now, Therefore, I, Franklin D. Roosevelt, President of the United States of America, in consonance with the joint resolution of the Congress approved December 26, 1941, do hereby proclaim Thursday the twenty-third day of November 1944 a day of national thanksgiving; and I call upon the people of the United States to observe it by bending every effort to hasten the day of final victory and by offering to God our devout gratitude for His goodness to us and to our fellow men. DONE at the City of Washington this first day of November in the year of our Lord nineteen hundred and forty-four and of the Independence of the United States of America the one hundred and sixty-ninth. Americans used to have the quaint custom of not putting out Christmas decorations until after Thanksgiving. That custom seemed to bode ill for the American economy in 1939 with Thanksgiving falling on November 30. President Lincoln had established the custom of Americans nationally thanking God for His blessings on the last Thursday in November. Now another president was going to make a change in this custom. 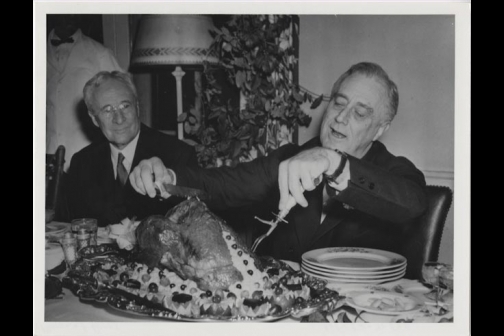 1939 was a lackluster year for the American economy, and President Roosevelt made the decision in August that Thanksgiving would be celebrated on the fourth Thursday instead, November 23. Polls indicated that a majority of the American people opposed the change with Republicans most opposed. Stories cluster about Lincoln like barnacles on a great ship. Many of them cannot be sourced at all and have to be consigned to legend. One such story that is probably just a legend is that of Tad and the Turkey. The White House in 1863 received the gift of a live turkey that was to be fattened up for an eventual White House dinner. Tad grew fond of the bird, named him Jack and eventually begged his father for the Turkey’s life. Lincoln was reluctant at first, noting that the Turkey had been given as a gift for the table and not as a pet. 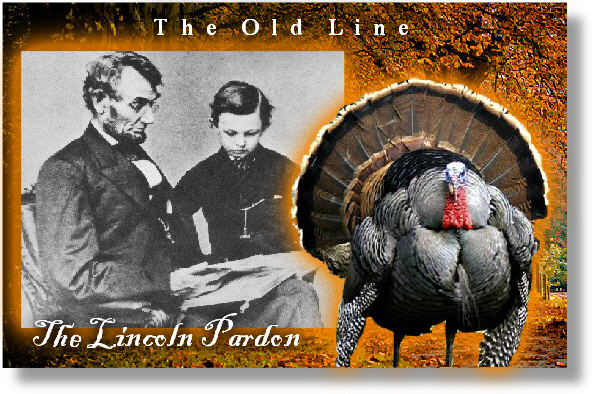 Tad’s pleas however eventually caused Lincoln to give the Turkey a presidential pardon. For the very reason that in material well-being we have thus abounded, we owe it to the Almighty to show equal progress in moral and spiritual things. 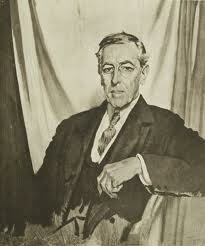 With a nation, as with the individuals who make up a nation, material well-being is an indispensable foundation. But the foundation avails nothing by itself. That life is wasted, and worse than wasted, which is spent in piling, heap upon heap, those things which minister merely to the pleasure of the body and to the power that rests only on wealth. Upon material well-being as a foundation must be raised the structure of the lofty life of the spirit, if this Nation is properly to fulfil its great mission and to accomplish all that we so ardently hope and desire. The things of the body are good; the things of the intellect better; the best of all are the things of the soul; for, in the nation as in the individual, in the long run it is character that counts. Let us, therefore, as a people set our faces resolutely against evil, and with broad charity, with kindliness and good-will toward all men, but with unflinching determination to smite down wrong, strive with all the strength that is given us for righteousness in public and in private life. Dear Madam,—I have been shown in the files of the War Department a statement of the Adjutant General of Massachusetts that you are the mother of five sons who have died gloriously on the field of battle. Mrs. Bixby did not find the letter of comfort apparently. According to a granddaughter, Mrs. Bixby was secretly in sympathy with the Confederacy and had little good to say of Mr. Lincoln. She probably destroyed the letter soon after it was delivered to her on November 24, 1864, as the original letter, which was published at the time, promptly vanished from history. Lincoln, although he signed the letter, may not have written it. Theodore Roosevelt had a copy of it in his office and greatly admired it. A witness indicated that at one point his Secretary of State John Hay, who had been one of Lincoln’s private secretaries, stated that he had written the letter, which would not have been an unusual procedure, although Lincoln wrote quite a bit of his own correspondence as President. The question remains open, although on balance I think the authorship of the letter by Hay, mimicking Lincoln’s thoughts and style, probably has the stronger case than Lincoln’s own authorship. Interview with one of the last surviving Confederate soldiers, Julius Howell, at the Library of Congress in 1947. Howell was 101 years old at the time of the interview, and his voice and memory seem in fine shape for a man past the century mark. Joining the 24th Virginia Cavalry at age 16 in 1862, he served as a courier during the war. After the war he became an educator and was active in Confederate veteran groups. He died one year after the interview.